Paul Raymond ‘The King of Soho’ was an entertainment and property tycoon who from the 1950’s onwards played a pivotal role in the cultural and social liberation of British society. Affectionately known as ’The King of Soho’ his story forms an intrinsic part of the history of the London district of Soho. 1) When did you launch the brand and what was the reason behind it? 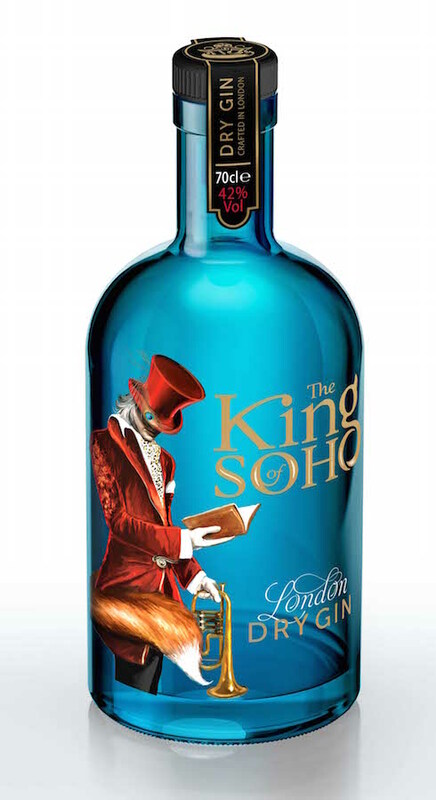 Myself and Howard Raymond launched The King of Soho Drinks, with a Super Premium London Dry Gin in October 2013, as a tribute to Howard’s late father, Paul Raymond, the famous impresario and property tycoon who was affectionately called ‘The King of Soho’ due to his role in revolutionising the London district. Remaining true to its London heritage the Gin is distilled in the heart of London in small batches by an 11th generation master distiller. I’m a Geordie! I was born into a business family in the North East of England; the youngest of 8 children. 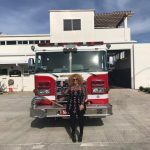 My mother was the entrepreneur in thefamily at a time when women didn’t work let alone own businesses, so as you can imagine this had quite a powerful influence on me and the path I took. I graduated from Bristol University where I studied Economic History.After a brief flirtation with the City, I expanded my horizons working in Russia and then Holland, focusing on supply chain management and marketing, skills which as you can imagine have now proved to be quite useful! 3) How many people are involved in the company and what are their roles? We are a young and small company so I currently dip my fingers into all parts of the business. Howard is one of the Co–founders but you will find me running the day to day activity.You could say that I amresponsible for every aspect of the operation and accountable for the success of the brand.It’s busy and keeps me on my toes but I am so passionate about the brand that I enjoy it. Obviously there are a few parts to the role that aren’t as glamorous as others but that’s the nature of business! 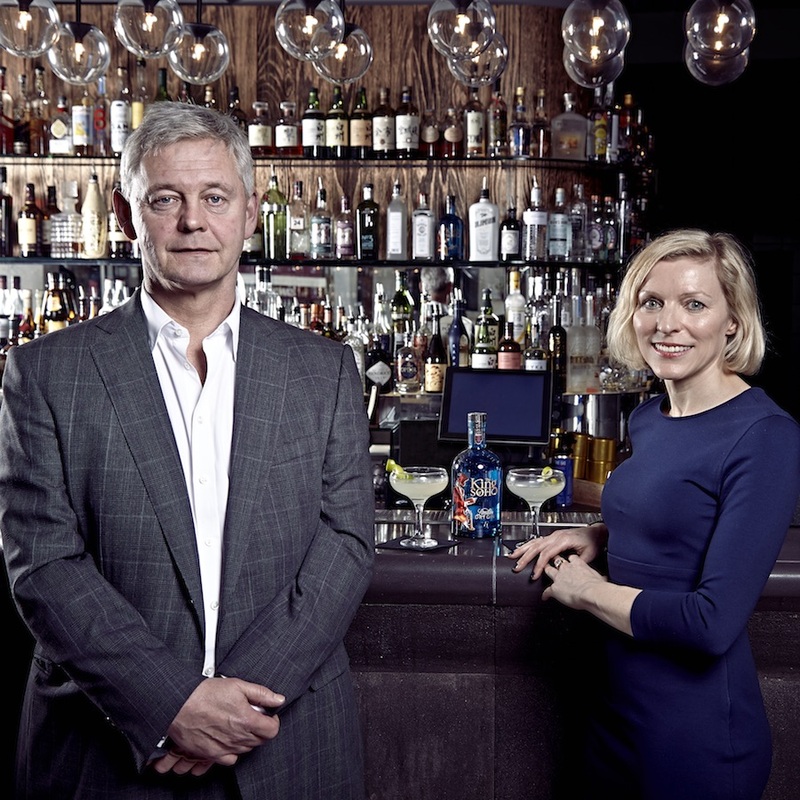 We are lucky to work with a few talented freelances / agencies including:Jamie Stephenson, who is The King of Soho Drinks’ ambassadorand our cocktail guru – the recipes that you’ll find on the website have mostly been created by himand Salt PR,who support and promote brand awareness. 4) If you could start over with the business, would you do anything differently? I would have probably started 6 months earlier! When we first sat down to do this, it was about five years ago, and the renaissance in gin was just starting – now there are a lot of new gins. There was a period just after we launched when there seemed to be a new gin every week, especially in the craft category – this hadn’t been the case 6 months prior.The development of the bottle and the challenge of applying thedesign to the bottle in production meant that we launched slightly behind schedule.Other than that, we had a clear vision of what we wanted, an authentic brand story and a great tastingginso that made launching the business a lot easier. 5) What is the hardest challenge you have faced since you started the company? Creating a bottle designthat embodied the Spirit of Sohowas quite a challenge. We made sure we had a very clear brief as this was important in order to communicate andturn our vision into reality. Sticking to this vision was also a challenge as along the way we met people with lots of different opinions. 6) Tell us one fact about you that people wouldn’t know? I was in fact the first person from the County of Durham to touch Moon Dust, not a lot of people know that! On returning to London after several yearsworking abroad I worked as a business consultant and was fortunate in that a couple of the projects I worked on were for Commander David Scott, Apollo 15 (first man to drive on the Moon). 7) 2015 is here, where do you plan on taking the brand? 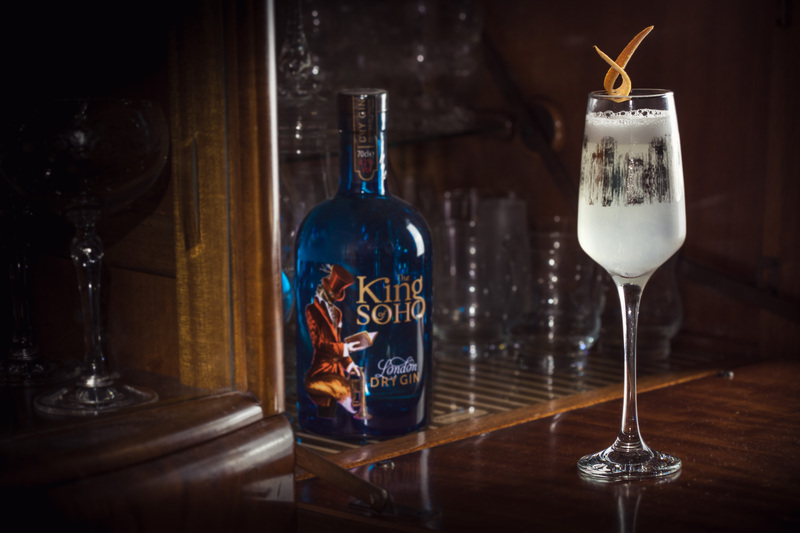 To continue growing and expanding the brand, both in the UK and internationally.Some popular bars and restaurants in Londonand across the UK have The King of Soho cocktails on their signature cocktail menu, which is fantastic as it’s a great tasting spirit: the King of Soho Gin combines citrusy grapefruit with classic juniper to create a perfectly balanced London Dry Gin. It’s such a lovely bottle so to see more bottles on bar shelves in different cities and Sohos across the World would be a great achievement for next year. 8) To date what has been the highlight since launching? As cliché as it sounds, the whole journey so far has been a highlight. Building a brand is exciting and every day there is something new to offer. I enjoyed the creative process, so I guess seeing the first bottle of the King of Soho London Dry Gin come off the bottling line was one of the main highlights. 9) Which city do you feel most at home in London, Paris or New York? I would have to say London. Representing a London Dry Gin which signifies the famous London district of Soho, I know where my loyalties lie! 10) Three beauty products you can’t leave the house without? I can’t leave the house without my Dr Frances Prenna Jones Refresh 24/7, Blue Terrybly Mascaraby Terry – has to be blue; I carry my brand with me everywhere! Then of course…my smile……. Style means to me whatever you feel most fabulous in and not to just follow the crowd. Soho is all aboutoriginality and true character – I love that. 12) Best thing about London to you? The best thing about London is its diversity and everyone’s openness to that. It’s a city where you can be yourself and not feel judged – coming back to style you can be who you want and embrace it. With interesting areas in London like Soho, you will never be disappointed. 13) Statement bag or shoe? It’s a tough one…but it’s got to be a statement shoe. 14) If you had to, what piece of clothing from your wardrobe would you wear every day? It would have to be my new black J Brand Edgemont skinny jeans – great fit, love the zip detailand they go with everything. Hmm…that’s got my brain working! If I had to choose one it would be the other King, the King of Rock n’ Roll,Elvis Presley and ‘The Wonder of You’. 16) Best place for a coffee? It depends on the time of day. In the morning I like to have a coffee at Ham Yard Hotel served with delicious little cakes in the atrium. But if I fancy a coffee at midnight then it would have to be Bar Italia in Soho or Balans next door. 17) Most memorable piece of advice given to you? I think my most memorable advice was from my father when he once reminded me of an old Northernsaying ‘see all, hear all and say nothing’. I think on a professional level sometimes the power of silence can get you a lot further. 19) If you could spend 24 hours in anywhere in the world, where would it be? 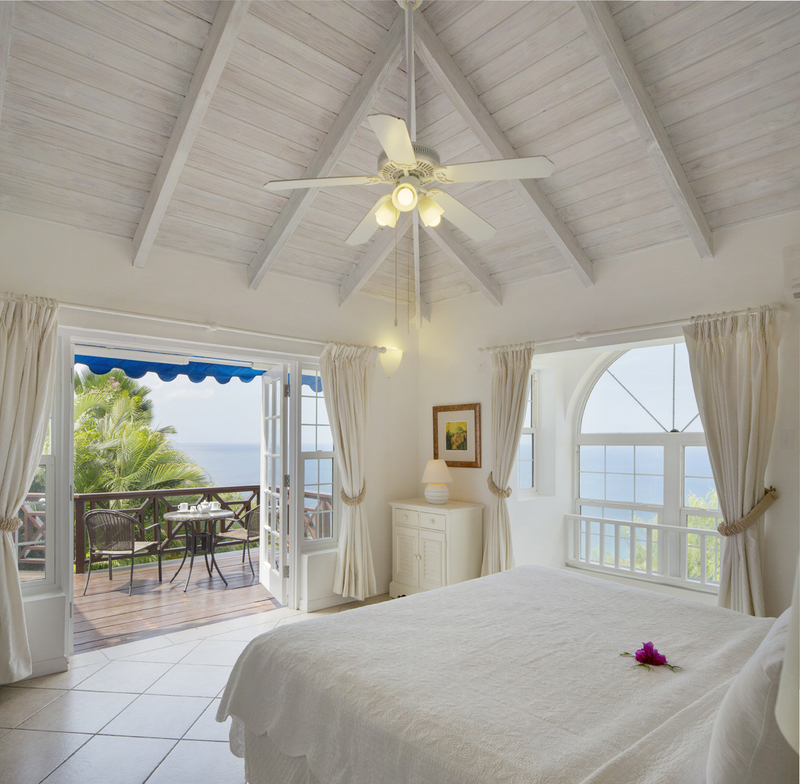 In my bed, under my duvet with my ‘guilty pleasure’– it’s one of the best places in the World! 20) In the future how do you plan on expanding the company? 21) Where can people find out more?